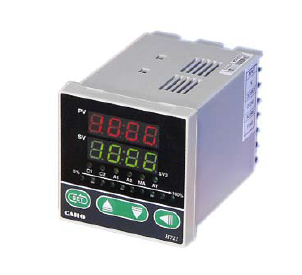 The new CAHO D-series is a range of controllers aimed primarily at the baking industry but can be applied to any process. 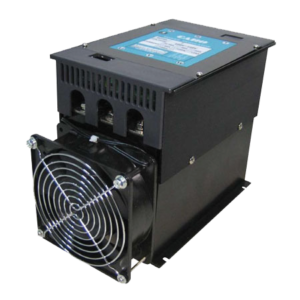 These units come in three variants, namely the D961, DT961 and the DTS961. 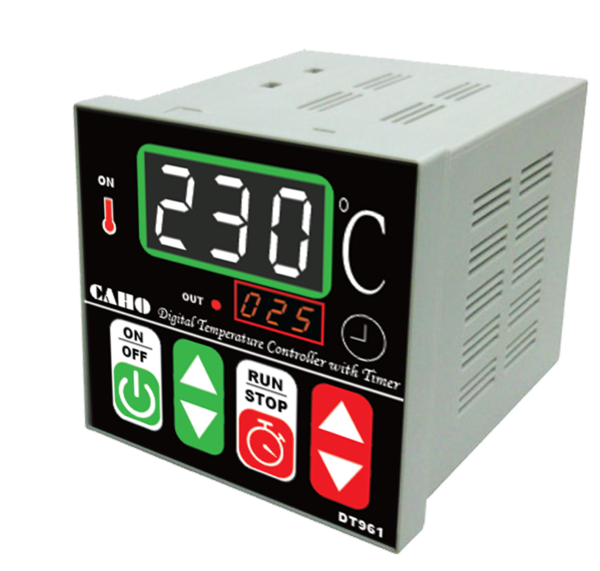 The D961 is a straight forward no nonsense easy to use single set point temperature controller. 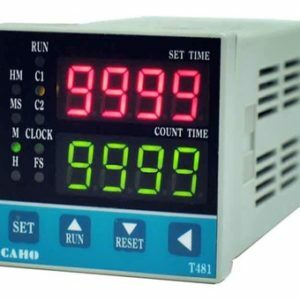 The DT961 takes the straight forward D961 and adds a built in timer, this is perfect for baking applications, allowing operators to set a bake time and to be able see remaining time. The DTS961 takes things a step further and adds a steam function, a button that closes a relay contact for a set period of time to inject steam or spray water before or after baking. 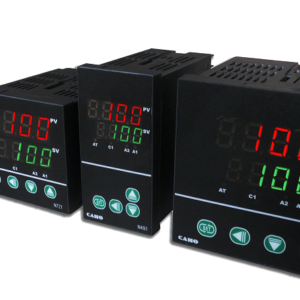 These units are ideal for manufacturers & fabricators of baking or cooking ovens that want an “out of the box” controller that controls both temperature and time in one unit.